In his The Kingdom and the Glory, Giorgio Agamben demonstrates that the key distinction at play in the theological thinking on economy is that between monarchy and economy; between God’s being and activity. To put it another way, the question that necessitates the elaboration of an economy is that of how to account for simultaneous unity and multiplicity in God; a simultaneity that is later worked out in philosophical elaboration on the doctrine of the trinity. …it is important not to forget that the oikos is not the modern single-family house or simply the extended family, but a complex organism composed of heterogenous relations, entwined with each other, which Aristotle divides into three groups: ‘despotic’ relations between masters and slaves […]; ‘paternal’ relations between parents and children; ‘gamic’ relations between husband and wife. These ‘economic’ relations are linked by a paradigm we could define as ‘administrative’ and not epistemic: in other words, it is a matter of an activity that is not bound to a system of rules, and does not constitute a science in the proper sense. This activity rather implies decisions and orders that cope with problems that are each time specific and concern the functional order of the different parts of the oikos. The bulk of the second book in the pseudo-Aristotelian Economics is devoted to a series of anecdotes on the generation of monetary revenue: a sort of catalogue of governmental money-making schemes. Kings, city leaders, and property owners are recorded as engaged in any number of management paradigms wherein they increase their monetary wealth by variously dispensing the productive relations under their power; manipulating taxes, temple offerings, celebrations, etc., in order to encourage increases in production and tax revenue. What is of interest is the improvisational nature of these unscientific tactics: each is undertaken in order to deal with some contingent circumstance that the monarchic ruler wishes to approach. Often, this circumstance is the need to pay soldiers for war, but in any case what is at stake is the acquisition of commodities which embody a use-value for the ruler. That common law of household economics maintains a constant force: “that the expenditure must not exceed the income.” In Marxian language, the classical origins of economy never exceed the strict temporality of the C-M-C relation: a commodity’s exchange-value is alienated by a seller, who gains money for it, money which is then alienated in favor of a new commodity which embodies for the buyer a use-value. And so, at one moment the monarchic economic actor has at his disposal exchange-value; at another, money; at the last, use-value to be expended for the monarch’s aims. The entrance of credit and debt into this equation do nothing to effect the strict linearity of this economic ‘time:’ what the monarch has in his possession at any given moment strictly limits the possibility of his economic action. The temporality of the divine economy, however, is not constrained by this linearity. We can perhaps see this most clearly in the mechanism of recapitulation. According to this logic, what is necessary to cancel the debt that humanity has incurred is a sort of return to the original point of sale: from the point of view of this reenactment, which corrects the original retrospectively, the status of the original act of debt changes, appearing no longer as a theft or removal, but as a step in a chain towards the gratuitous redemption of humanity by God. According to the logic or recapitulation, this earlier ineffectiveness of the divine economy can be transmuted into an effective step into that economy. Anselm conceives of the recapitulation by Christ of Adam’s sin in terms of a two-moment motif borrowed from Irenaeus: if the problem of sin is opened by Eve and then universalized in Adam, then it is fitting that repetition and correction of Adam’s transmission of sin to humanity would be accompanied by a recapitulation of Eve’s original act; and so the pair Mary-Jesus comes to echo that of Eve-Adam. According to the linearity of a C-M-C economy, however, this presents a paradox: how is it that Mary, who is still under the sin of Adam, can recapitulate Eve? What is required is a certain economic futurity: the future of the economy must be able to meaningfully recondition the present. And so, “that Virgin from whom the man about whom we are speaking was one of those who, before his birth were cleansed of sins through him, and he received from her in the state of cleanness which was hers.” In the logic of recapitulation, the temporality of speculation (which, while not absent from Aristotle’s time is clearly delineated from the notion of economy as such) becomes the basic temporality of the divine economy, now freed from the former constraints of linear finitude. Agamben, The Kingdom and the Glory, 17. Anselm of Canterbury, Cur Deus Homo in The Major Works, II:16, 340. We haven’t posted for a while, which is mostly my fault since last quarter was absolutely insane for me. This quarter looks to allow for a little more regularity. 2) Given this view of knowledge, what must I do and how is that to be accomplished? The answer to both questions is essentially “the transcendental soul which is absolutely free” in Kant and Kantianism. It is your soul which is a nouminous object and absolutely free that unites your perceptions transcendentally (because nouminous objects are in themselves unities) and it is because of this freedom that you can fulfill your duty to the highest good by binding yourself to the moral law. The question of freedom is vitally important and hotly contested in Kant’s time. If the universe is mechanistically determined (Newton), how can anyone be held responsible for anything one does? Thus, the commitment to freedom and explaining human action (i.e. history) in terms of freedom is of paramount importance at the turn of the 19th century. Freedom becomes the new foundation of ethical life. We need to understand this shift in terms of what is new about freedom in the 19th century. In Aristotle, the law is coterminous with justice; that is, lawful acts are just acts and vice versa. The law forces us to behave justly in relation to others. Therefore, individuals have rights (or anything resembling rights as we understand them) only in the context of a just, lawful order. There is a priority of objective law to subjective rights. The law governs through educating and producing virtuous people. This outcome justifies the force of law–not even parents have the authority of this force. Only the political community can produce virtuous, law-abiding citizens. Therefore, the power of the law is internally unlimited. In this sense, the law has authority over both public and private life. There is, in fact, no sharp distinction between public and private (outer and inner) life, since the law has the responsibility and the authority to shape both. Introducing those terms here is already extending beyond the juridical concerns of the ancient world. Jumping forward quite a bit, this view changes most significantly with Hobbes. In Hobbes, we find that the law cannot reach particular areas of private life (e.g. thoughts.) Law has a natural limitation. This introduction of the natural as it relates to law is vitally important here. In Hobbes (and later Locke, Rousseau, etc.) we find the introduction of the idea of natural rights that belong to the individual. Whereas in Aristotle, the law is what defined the rights of the political subject, in Hobbes, et. al., the authority of the law ends when it reaches natural rights. The law is circumscribed by them. This changes the function of the law. Now the law exists in order to secure the natural rights of the political subject. This is, for Marx, a “natural-normative” dialectic in which natural rights are taken to be pre- or non-normative in the precise sense that they simply are. They exist in nature and the fact of their existence is not a normative claim. That is, it is not that natural rights ought to exist–they simply do exist. The normative element enters when the law secures those rights as inscrutable, when the law protects their naturalness. 1) Freedom is the capacity to abstract from everything–to not be determined by any specific determination. In other words, certain truths do not have certain necessary consequences, particularly when it comes to choosing how to act. For example, the fact that I am an American does not determine that I act in accordance with whatever that label means to other Americans. I can choose to not be determined by that category. 2) Freedom is also the reverse of this–the capacity to give yourself to a determination as a reason for choosing how to act. 3) Finally, freedom is self-determination. It is the unity of both aspects. It is to abstract from all determinations and posit oneself as determined. Freedom unfolds through self-determination. These determinations, however, require that there be others in order to differentiate between determinations. This establishes a particular relation to others for Hegel. He writes that the other is actually not an external limitation; it is yourself appearing as something external. What the other wants is part of a social relation, becomes part of your own will. One cannot have freedom as Hegel understands it apart from a social relation. To be a part of a social structure is the condition of the possibility of freedom as self-determination. The social relation precedes the individual. This includes a special role for education as well. Remember that for Aristotle, education is something external (the law) being imposed upon the subject in order to make it a political subject. In Hegel, education (Bildung) is an internal activity grounded in social relations. Education in Hegel’s sense is not the gaining of specific skills–it is becoming skillful. This “skillfulness” is essentially a learning how to be a social being, learning the relations of one’s will (self-determination) to something it is not. This isn’t simply an inter-subjective understanding, but a way that subjects see themselves as part of a social relation which is prior to their individuality. This includes estimating consequences, determining what is good and bad for the self in order to alter drives, and eventually trying to orient oneself toward happiness, which is a rather utilitarian way of thinking about it. But note that what is chosen is ultimately a self-determination–not something imposed by the external force of the law. The law instead secures the individual’s ability to choose. Bildung ultimately consists of generalizing oneself so that the will may be transformed into an ethical-social self-determining subject. Generalization is what allows one to participate in the social. In other words, if I want to participate in a community of any size, including my immediate family, I have to give up some of the particularities that constitute me as an individual subject when I enter into a social relation. I can’t force everyone to like the food I like, go to bed and wake up when I do, read philosophy and theology, etc. The highest form of this participation, for Hegel, is ethical participation: the free will that desires free will, that wills itself. Freedom becomes our actual way of life such that we live the good itself. Three blog posts began circulating last week that I think give us the opportunity for some serious reflection on the relationship of Christianity to economy. The first was an article written by Tom Corley that appeared both on his own website and then on Dave Ramsey’s site called 20 Things the Rich Do Everyday. A commentary addendum was tacked on to the end of the list: A response from Ramsey answering all of the negative criticism the post received. In this response, he calls negative respondents “doctrinally shallow” and “spiritually immature,” telling them to “Grow up.” This sparked a host of immediate responses, most notably Rachel Held Evans who wrote this response on CNN’s religion blog in which she points out the obvious fallacy in the list Ramsey defends: Correlation does not equal causation. That is, many of the “habits” of the poor likely stem from their poverty rather than the other way around. This point was emphasized strongly in the most recent blog to circulate: 20 things the poor do everyday. What’s most interesting to me are the strongly polarized conversations regarding capitalism and Marxism that crop up when stories like this break. Quite the same thing occurred last week in response to Pope Francis’ first major treatise that in part questioned the dominance of global capitalism in the context of the need to care for the poorest among us–an economic position on social justice which the Catholic Church has held for quite some time and is not necessarily Marxist. A major part of the problem, it seems to me, is that most people don’t have a clear understanding of what capitalism really is to begin with. A view that seems to circulate strongly among Christians (and many others) is that capitalism means “free enterprise” broadly, or variously, defined. That is, what capitalism affords is the freedom to be able to be compensated for labor, for a skill, for an invention, a business of one’s own choosing through the effort of hard work and thus be able to achieve success that will allow one to live and hopefully live comfortably. The problem is that this conception of what it means to work in order to survive is not unique to contemporary capitalism. All sorts of capitalistic endeavors, from speculation to the financing of wars for monetary gain have existed in many places and times. This is one of the early arguments that drive’s Max Weber’s The Protestant Ethic and the Spirit of Capitalism. Weber, whose aim is to define and then locate the primary originating factor of “the spirit of capitalism,” emphasizes the importance of understanding that modern capitalism is not simply a matter of earning in order to survive. Furthermore, he notes that the existence of an aristocracy, a bourgeois class, is not limited to capitalism either. Capitalism cannot be defined as unlimited greed. That is, greedy rich people have existed in other economic systems as well. Ultimately, the spirit of capitalism, Weber argues, is the rationalization of the accumulation of wealth for the sake of wealth itself. Remember this saying, The good paymaster is lord of another man’s purse. He that is known to pay punctually and exactly to the time he promises, may at any time, and on any occasion, raise all the money his friends can spare. This is sometimes of great use. After industry and frugality, nothing contributes more to the raising of a young man in the world than punctuality and justice in all his dealings; therefore never keep borrowed money an hour beyond the time you promised, lest a disappointment shut up your friend’s purse forever. Honesty is useful, because it assures credit; so are punctuality, industry, frugality, and that is the reason they are virtues […] In fact, the summum bonum of this ethic, the earning of more and more money, combined with the strict avoidance of all spontaneous enjoyment of life, is above all completely devoid of any eudœmonistic, not to say hedonistic, admixture. It is thought of so purely as an end in itself, that from the point of view of the happiness of, or utility to, the single individual, it appears entirely transcendental and absolutely irrational. The telos of this sort of wealth-earning is not to live an absurdly extravagant lifestyle (i.e. hedonism)–which may seem counterintuitive to what we normally think of when we think of the “evils of capitalism.” There is a necessary frugality, a temperance which ensures that money will always be earned and nothing else. If you are broke or poor in the U.S. or a first-world economy, the only variable in the discussion you can personally control is YOU. You can make better choices and have better results. If you believe that our economy and culture in the U.S. are so broken that making better choices does not produce better results, then you have a problem. At that point your liberal ideology has left the Scriptures and your politics have caused you to become a fatalist. I think understanding capitalism this way is important because it moves the conversation about how best to serve the poor away from a capitalism/Marxism distinction (which is absurd anyway), away from a debate about “hard workers” and “lazy people,” and toward an important conversation about the role of money in the life of a Christian. Here’s where Weber is important in reading this: Giving generously is all well and good, but unfortunately, one is still earning money for the sake of money–it’s just money one can give away. Can giving money to charity accomplish some good? Absolutely. But what is vastly more important than that is being able to see the role that money plays in our lives in forming an ethic that drives how we see the world around us. If we firmly believe that one’s situation is solely determined by a particular set of capitalistic virtues that one cultivates, then of course one is going to see everyone in poverty as having failed at or been too lazy to cultivate those virtues. Contrary to Ramsey’s claim, there is nothing Biblical about earning money for the sake of money. One could more or less make the case that honesty, frugality, punctuality, and industry are virtues that can be found somewhere in the Bible, but, as Weber notes, they are not necessarily connected to the capitalistic spirit–the capitalistic spirit made them that way. Jesus, on the other hand, has some more direct things to say about our relationships to others. They usually have to do with serving the poor, disdaining wealth, allowing yourself to be taken advantage of–all for the sake of the Kingdom of God. There’s no such thing as a taker who doesn’t work hard enough–just a division between those who give all to serve the poor and those who oppress them. A classic element of Marxist historiography is the responsibility taken on by the historian to the liberative possibilities that have gone unrealized. Just as the Marxist revolutionary takes on a certain responsibility to discern the contingent possibilities for revolutionary action and class intervention—possibilities which will not realize themselves according to any historical necessity—the Marxist historian commits herself to discovering the latent potentiality according to which history might have been otherwise. In a sense, there is a sort of apocalypticism to Marxist history; from the horizon of the hoped-for revolution, these latent possibilities are transformed from inevitable false-starts to the real birth pangs of a new world to come. In the work of Walter Benjamin, this responsibility appears in the notion of redemption through repetition: the task of remembering history is not to describe the bare facts of the past, tracing in them the source of the present situation, but to unearth hidden possibilities and failed hopes which continue to demand realization. This retroactive movement is theologically fecund. Slavoj Zizek frequently claims that the natural tense of apocalyptic historicity is the future anterior, taking the form ‘it will have been.’ The Hegelian move, he argues, is to “reintroduce the openness of the future into the past, to grasp what was in the process of becoming, to see the contingent process that generated [the] existing necessity.” These possibilities are specters that ‘haunt’ history—possibilities in search of actuality—from the point of view of the collective. This stance is what G.K. Chesterton called “thinking backward,” as an attempt to “render palpable this open moment of decision.” The collective—the gathered body—is to recognize the possibility and contingency that underlies the present order, its lack of necessity strictly correlative to the lack of a big Other to underwrite that necessity, by virtue of the spectral, failed hopes of the past. The relation between authentic and ideological apocalypticism is visible in the gap that separates Lenin and Stalin. Lenin, for Zizek, represents the recognition of absolute contingency, and the concomitant need to act decisively, to take responsibility for the future that will arise if he does not act. Stalin, on the other hand, represents an order founded on its own historical necessity. The revolutionary, who lives fully within the death of the big Other, takes responsibility not only for the present, but for the failed hopes of the past. It is precisely in the mode of the sort of history-as-necessity that apocalyptic historiography refuses that most readings of the Star Trek franchise proceed, whether optimistically or pessimistically. Traditional leftist praise for Star Trek revolves around the commitment to the notion that any truly utopian future society involves a future without money, without a labor force divested from the surplus they generate, etc. The multiracial cast of the original is often cited with positive regard, as well as the anti-militarist bent, and the structuring of stories according to the demands of a group of people solving problems they encounter in the unknown, rather than the logic of a hero’s journey, or some other vaguely conservative story structure. The criticisms, of course, operate on largely the same level; Star Trek is rarely anti-capitalist enough, or anti-militarist enough or whatever; something happens in any given Star Trek episode or film, something that can, in the end, either be regarded as liberative or conservative; entertaining or boring. I should confess at this point that I’m a huge sucker for almost-masterpieces. Something in me is constantly intrigued by films, books, and music that approach something truly intriguing, but don’t quite become adequate to it, that break down before they can arrive at the destination they promise. That I’m such a sucker for “almosts” probably explains my deep love for the film Blade Runner. And it is in this spirit of “almost” that, as a lifelong Star Trek fan, I have to confess that my favorite film has never been The Wrath of Khan, but the almost universally derided Star Trek: The Motion Picture. What’s more, with one notable exception, most of my favorite things about the film are precisely those things that are often cited against it. For instance: it’s the only Star Trek film that’s actually about going out to meet some unknown horror together with open arms. The other films rely either on villainy or a sort of sci-fi MacGuffin whose nature is immaterial to the film to drive either an action film or an action-comedy. And I think the fact that the film plays so much of the time like a long, subdued waltz almost works with that; that it is a (for the time) high-budget visual effects movie with absolutely no explosions or bombast is really interesting to me. 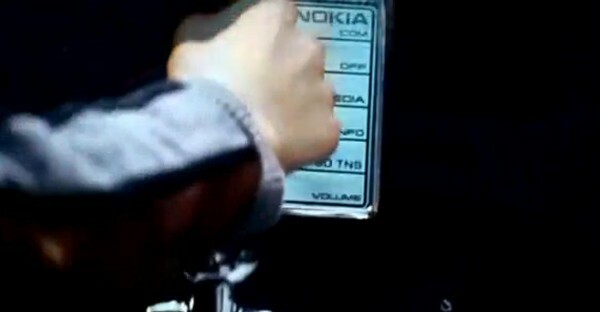 The film is driven into some really intriguing corners by the fact that it revolves around the Enterprise’s attempts to know an unknown entity that is simultaneously attempting to know the ship and her crew; Vger literally has to kill something to really understand it as a scientific object, and thus interprets the Enterprise’s scans as an attack. As poorly cast and executed as the character of Commander Decker is, I really like the idea that, at base, he’s right; there’s no reason Kirk should be in command except to satisfy his own ego; there’s no moment when Kirk gets to triumphantly demonstrate that he, by virtue of being a fiction character, is the “chosen one” who should always have his rightful place. There are all sorts of things like these that are almost happening in this film, but it’s important to note that for the most part they never do; the film circles around its own potential on all sides, illuminating a possible—but unrealized—moment, theme, film, etc. In The Motion Picture, Star Trek gets as close as it ever has to actualizing a certain happening that has lurked within it before and since. The specter of Star Trek hangs uniquely over this film. According to most reviewers, however, the “best” Star Trek film is Star Trek II: The Wrath of Khan. And certainly, from the point of view of what actually occurs in the film, I’d probably agree. Where The Motion Picture is paced sluggishly, Khan wastes not a single moment of its runtime on redundant moments and lines. Where The Motion Picture reduces its characters to stoic, analytic problem-solvers who can barely be said to relate to one another, Khan both restores and surpasses the familial dynamic of the TV series, placing its narrative weight on the various sorts of families in which Kirk finds himself. There really is a lot to love about The Wrath of Khan, and it would be a mistake to say that the spectral possibility of Star Trek isn’t haunting this film; even as it leans on hero/villain conflict and reverses a lot of the prior film’s refusal to beatify Kirk as a creature of destiny, this is something different than, say, a Star Wars film; something else is at work, something whose play of appearance and disappearance gestures towards a different ghost. This ghost, though, is one that can only be missed, even in the most piously leftist analysis of The Wrath of Khan, as long as the primary attention is given to what appears, or what happens. It’s no accident that many of the worst moments of the franchise after Khan’s release consist of attempts to emulate or repeat Khan. Star Trek: Nemesis, in particular, is an attempt to repeat the tonal and structural content of that film, to universal and just dismay. The problem, here, is the same basic problem that haunts classical historicism: by enacting the point of narration and repetition from the horizon of what actually happens, what necessarily leads to the present, the ghost is disavowed, refused. I’ve begun to repeat a specific anecdote when asked about my feelings on the new, J.J. Abrams-helmed Star Trek films. Growing up watching zombie horror, the moment I could never comprehend was the moment when a character can’t bring themselves to shoot their undead loved one. “It’s not him! It’s not her!,” I want to shout. And yet, on opening night, I found myself at a showing of Star Trek Into Darkness. It is only in light of this particular spectrality of Star Trek that one can make sense of the unique betrayal that Star Trek Into Darkness represents. On the level of content—of what actually happens—STID appears to be at least as faithful an entry in the franchise as, say, Star Trek: First Contact. The timeline divergence enacted in the first film covers over almost all continuity quibbles, and those that remain (how phasers work in this new timeline, the ability of starships to submerge in water, etc) can only appear to be relatively minor. And yet, something is horribly amiss. It’s probably not worthwhile to spend too long recounting the structural and thematic changes—a lot of this is pretty on-the-nose stuff. We find characters sipping labeled Budweiser beers, using Nokia phones, and engaged in heroic personal journeys to greatness in which they defeat ever-stronger foes. Star Trek has fucked up before; why is it these particular films in which we find not a distance or absence of Star Trek’s spectral promise, but films given over to another ghost entirely? It’s hard to say, exactly. I know that the setup of this post probably promises an answer of some kind, but I’m not sure I have one. There’s simply very little in this iteration of the Star Trek franchise that doesn’t seem to be given over to exactly the sort of ghost that the ghost of Star Trek disrupts. That ghost seems to have very little to say in a film like Star Trek Into Darkness except “no.” It’s no coincidence, I think, that so much of this film is cribbed from The Wrath of Khan; in this case, what appears is an entire film given so wholly to what actually happened in Star Trek films of the past (in addition to the obvious TWOK nods, the film apes plot points from Deep Space Nine, Star Trek: Insurrection, and Star Trek: Nemesis, to name only a few) that the ghost is given up entirely. There’s a connection to be drawn here between the sort of living in a tradition this post enacts with regard to Star Trek and the sort that the Christian or the Muslim or the theologian might engage, but this post is already too long, so draw it yourself. That exception is, of course, the fact that the characters don’t really start interacting as characters until just about the last scene. “Commanding a starship is your first, best destiny. Anything else would be a waste of material.” Spock, to Kirk, Star Trek II: The Wrath of Khan. This post is part of our ongoing review of Clayton Crockett and Jeffrey Robbins’ book Religion, Politics, and the Earth: The New Materialism. The book is available for purchase here. As with the rest of the book, this chapter is more a manifesto than anything else; the analysis of the history and contemporary situation of art offered here are offered towards the possibility of a revolutionary praxis of art. As my predecessors have done, I’ll briefly trace the argument before offering a reaction. Crockett, Robbins, and Wilson, in this chapter, are concerned, of course, with materiality. Under what material conditions is art done, and what material function does art perform? The authors argue that there is a certain natural conceptual linkage between art and religion; both are concerned with “materially unjustified but existentially vital representation.⁠1” Premodern is characterized according to this narrative as a reproduction of the divine nature. It is thus characterized by tendencies toward representation and order. The important break occurs, as with so many things, with Kant. According to the Kantian paradigm, beauty is still linked with the apprehension of “design,” but this apprehension is characterized by a sort of free play in which purpose becomes directly linked to the act of striving toward it, rather than to a fixed representation of the divine. The history of art assimilates this orientation, and art becomes the privileged site of this striving, displacing roles that had traditionally been the domain of religion. Traditional understandings of representation are also displaced, as this emphasis on the striving act privileges aspects of apprehension over the thing-in-itself, and lead to the characteristic “decomposition” that characterizes the passage of 20th century art towards abstraction. Since the concept of beauty privileges representation by necessity, the notion of the sublime gains primacy in modern art. The sublime, rather than privileging harmony of representation, is the site of a disjunction in this harmony, opening up a field in which reason is forced to step in and make a moral decision. The sublime is both attractive and repulsive, resisting re-inscription in meaning and sense, such that any re-inscription passes a certain responsibility onto the viewer. Attempts at an art of the sublime (Dada, Surrealism, etc) are all plagued by a similar problem. Capital is an adaptive beast, and easily absorbs any new opening of the sublime as a form of spectacle, which can always be commodified. The challenge for a revolutionary practice of art thus emerges: what kind of revolutionary sublime can “free subjectivity from the force of capital?”⁠2 Given that the capitalist sublime dissolves all forms into raw material for the relations of capital, what kind of form resists this interpellation? The question that arises for me in this chapter, then, is why art? What kind of work is maintaining the identity of art as such doing for the revolutionary? It may seem in some sense like a naive question, and the fact that I have a paper draft that I’m actually getting graded on to do mean that I unfortunately don’t have time to fully unpack this thought, but it seems to me that the kind of identity described between the content and form of revolutionary art are such that it becomes necessarily hard to separate revolutionary art from any other part of revolutionary practice. After all, what is the real distance between the subversive aesthetic practice and the tactical practice of, say, guerilla gardens? I don’t bring this out to criticize the indistinction per se (my girlfriend is a mixed media “artist” who doesn’t think art is a word that is doing any non-ideological work for us anymore) but it seems like in reality all we’re left with is the artist as cultic personality, as subject-supposed-to-know; but if we can’t disjoin the practice of art from any other part of revolutionary practice how can we even identify that role? In the second chapter of their book Religion, Politics and the Earth: The New Materialism, Clayton Crockett and Jeffery Robbins tackle the history of the relationship between religion and its materialist critique and the differences between the critique of the classic materialists (Feuerbach, et. al.) and the new materialist critique of Slavoj Žižek before offering what they see as the constructive implications of the latter for Christianity specifically. What I want to do here is talk a bit about Crockett and Robbins’ approach to the materialist critique of religion and add to the practical implications that they outline with an eye to Evangelical Christianity specifically. This chapter is conceptually difficult without any background in Žižek or Lacan, so I’m going to do a lot of summarizing and explaining before getting to the extension of the practical implications. My hope is that this can serve as a primer for those who are interested in the book but are intimidated by the approach Crockett and Robbins employ while highlighting some additional things to think about. In essence, the difference between classical and new materialism resides in the consequences of the critique. Feuerbach and Freud saw religion as a debilitating crutch, something that had to be overcome so that the ultimate truth that science and empirical evidence provide could shine through and humans would no longer be dependent on anything but their own reason: the epitome of secular humanism. Religion, in other words, is a false consciousness–a way of thinking that helps us escape the reality of our situation. Žižek and other [Lacanian] materialists point out, however, that all consciousness is false consciousness. Following Lacan, Žižek argues that our symbolic and imaginary orders (how we imagine ourselves to be and the social-judicial order that governs that) are our reality; they keep us from experiencing the terrifying Real (what we really are, which shatters our imaginary selves.) So even if religion were to be erased, it would immediately be replaced by some other false consciousness, and there’s no telling if that would have better or worse results. Žižek is willing to bet we’d be worse off since he thinks that religion, at its core, really has a lot to offer. What is metaphysically or ontologically real is of no consequence for Žižek since no “system,” whether that be a purely empiricist epistemology or any other way of being in the world, is the Real itself. The choice between a world in which there is religion and one where there is not is a false dichotomy because one cannot not choose false consciousness. Religion has the potential to be politically mobilizing, to be the driving force in moving humanity toward a better political reality. In this way, New Materialism moves beyond critique to a reconceptualization and radicalization of religion. This way of thinking about religion–or reality itself for that matter–may strike some as extremely problematic. But instead of attempting to make a counter-case for why this isn’t how things really are (i.e. false consciousness, etc. ), I would encourage readers to understand this Žižekian-Lacanian move as the implementation of a theoretical method. That is, one need not accept Lacanian psychoanalytic categorization of reality as really true in order to understand that, as theory, it can help us think about something familiar in a radically new way. Crockett and Robbins are reading religion. This is how literary theory (which “popularized” Lacan among humanities disciplines outside of philosophy) typically works. What is important in this method is that it helps highlight the implications of a non-reductive materialist approach to religion which validates religion as a way of seeing the world that is compatible with science and can also provide the resources for more robust political action. That is where we now turn. The implications for this in Christianity should be pretty obvious: Take the Incarnation seriously, tracing out its implications as far as they go. For Žižek and Radical Theology, that means the death of God. That is the inevitable conclusion of a truly materialist Christianity. Some might call this “Christian atheism,” but there’s a very important difference between not knowing if there is a God and claiming that there definitely is no God. The latter is what “atheism” implies, and that doesn’t seem to be what is going on in this move. This conclusion allows us to believe the efficacy of belief itself. That is, when we claim the fundamental truth of God, we are not believing, but claiming direct knowledge instead. The classical materialist critique works the same way: what is repudiated is not a leap of faith, but a fundementalist empirical claim to know God directly. Belief has no efficacy in either case. By continuing on as if we believe, it is not that we come to a more authentic faith; rather, we come to see our belief as externalized (it is not I who believes, but my prayer believes for me) and can finally see and understand the structure of our [false] religious consciousness. No more transcendental guarantees. No assurances. Just a dangerous leap of faith. This is how Christianity truly reclaims the fundamental risk with which it was established in the first place. Christianity is re-radicalized. The importance of this move is to reconfigure Christianity in such a way that it can be a viable mobilized political force. If we are aware of the structure of our false consciousness, then we will be able to finally unmask and root out the commodities that appear to us as “a magical object endowed with special powers” (C&R quoting Marx) within that structure. Put differently, we can come to see much more clearly that religion in America is ultimately about money. The solution is not to sever the connection between religion and money but to read the Gospel through the lens of this problematic. We suddenly see that stories like Jesus feeding the 5,000 really are about the redistribution of wealth and not primarily about a supernatural miracle. When Jesus says, in the Lord’s Prayer, “Forgive us our debts, as we forgive our debtors,” it’s a mistake to read sin into debt. This is an economic claim. (C&R follow John Dominic Crossan on both of those examples.) We are then poised to organize political action against systemic oppressive structures. Now that we have a good sense of what Crockett and Robbins are gesturing toward, we can ask: Why would this be difficult for a Christian to grasp, but particularly an Evangelical? The Bible says it right there, doesn’t it? There are many passages and verses that instruct us to always plead the case of the widow and the orphan, to make sure that our religious practice always results in mercy and justice. Why does that not lead to organized political action against systemic oppression? One obvious answer is that using words like systemic and political sounds a little too socialist for some Evangelicals. That may be reductive, but I think we can generally agree that most Evangelicals are part of the religious Right, which sadly means they hear the gospel and discourse about contemporary social justice on a systemic level in two different registers. But there is another, more complex issue that I think is actually more problematic than right wing political rhetoric. Evangelical Christianity is too spiritualized. Am I being vague enough? What the hell do any of these things actually mean? Many Evangelicals complain about feeling like they’re “in a rut” spiritually. They remember feeling God strongly at some previous time, but now everything seems so mundane. That’s because most of what Evangelical Christianity requires of believers are abstract, personal, intellectual activities (meaning in one’s mind, nothing academic necessarily). We have to read the Bible. We have to pray more. We have to contemplate… stuff. Engaging in service activities is one way of achieving a closer relationship with God. But the purpose is always our own spiritual health and development. Serving becomes an intellectual exercise–a way for us to feel closer to God. Our orientation is always toward our own personal spirituality. And it’s important to note that “service” among Evangelicals rarely if ever requires any sort of political action let alone in the radical way Crockett and Robbins suggest. I cannot tell you how much I hate that phrase. Jesus didn’t just love people; he actively sought their liberation from an oppressive hierarchical social system. He actively sought their liberation from an oppressive hierarchical social system. And for that, he was crucified. If all we are doing is trying to be friends with some homeless people, with some inmates, with some refugees, we are not part of the solution. We’re part of the problem. We’re not doing anything to help them. We have a mental block. Evangelicals don’t really know what Christianity is all about. Saying it’s about Jesus, it’s about forgiveness of sins, it’s about freedom for ourselves, seems to me (and to Crockett, Robbins, Žižek, Crossan, etc.) completely wrong. Christianity must become the political force that it has the potential to be, one motivated by justice from systemic oppression; the problem is that, at least for Evangelicals, we are going to have a really hard time laying down our own feel-good personal spirituality in order to do so. Some of the most foundational thinkers in political philosophy, Rousseau, Hobbes, etc, start the discussion of the genesis of the collective social body with certain conceptions of human nature. All who have taken introductory courses in philosophy or political theory learn of the headache that comes with arguing about human nature. While human nature has been an interesting development in political philosophy, asking whether human nature is fundamentally good or evil is the wrong sort of question. Appropriating Spinoza’s ethics, Antonio Negri and Michael Hardt explain that one should not ask what human nature is, but what it can become. What is it that drives humans together into association? What does human nature become in capitalism? What can it become? What is the motor of human association? Love. Love is what drives humans together into collaboration and toward freedom and autonomy. Maybe love sounds a little sentimental as philosophical foundation for politics, but love can be understood as a serious political reality. Despite it’s best efforts, capitalism cannot account for all of the productive energies of the human individual or assemblage. Human society has certain mechanisms that emerge separately from the capitalist mode of production. Negri and Hardt call this the commons. There are some things, while perhaps swayed by capitalism, are not explicitly governed by the logic of capitalism. Capitalist production is certainly a dominating logic, but there are other types of production that are of note. For capitalist production other types of production are necessary, the production of living arrangements, domestic work, friendships, religious communities, intellectual associations, etc. Capitalist production is an apparatus that has captured these and other types of social production. These types of social production are what Negri and Hardt call the commons. Love is the driving force behind the commons and what pushes humanity to desire one another. Love is desire as a positive force. In Deleuze and Guattari’s A Thousand Plateaus the discussion becomings is made through a biological narrative of the orchid and the wasp. 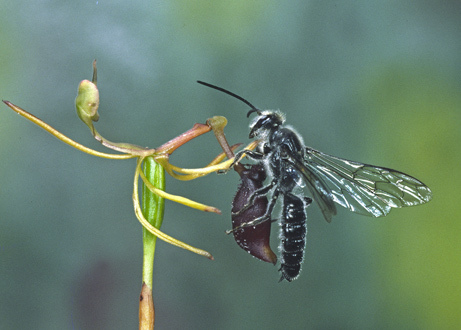 Evolutionary biology tells a narrative of the orchid imitating the wasp for the propagation of its species. Deleuze and Guattari correct this narrative in saying that the orchid is becoming-wasp and the wasp is becoming-orchid. What is essential here is that the encounter between the two entities creates a new reality, a new becoming. What does it mean for the orchid to become-wasp and the wasp to become-orchid? It means a mutual love for one another. It is a rupture in business as usual. Here, one can see that love is a type of production. In Marx’s Economic and Philosophic Manuscripts of 1844 he explains the alienation and production of the worker. Capitalist production produces the worker. “…[L]abour is external to the worker, i.e., it does not belong to his essential being; that in his work, therefore he does not affirm himself but denies himself.” (Economic and Philosophic Manuscripts of 1844, 60) Labor is external to the individual, through labor the individual produces and in this meeting of flows the individual becomes a worker. Capitalist labor produces the worker, but love can produce a specific subjectivity as well. Love produces what Negri and Hardt call the multiplicity, the subjectivity of the commons. “Love is the power of the common in a double sense: both the power that the common exerts and the power to constitute the commons. It is thus also the movement toward freedom in which the composition of singularities leads toward not unity or identity but the increasing autonomy of each participating equally in the web of communication and cooperation. Love is the power of the poor to exit a life of misery and solitude, and engage the project to make the multitude.”(Commonwealth, 189) Love is an erasure of our capitalist subjectivities as workers and it is in collaborative power that a rupture is created and there is an entrance into a new social body. Asking whether human nature is fundamentally good or bad is the wrong question, rather the question should be what could humanity become? Love is the motor of the social assemblage, but love does not go unchallenged. Love can go wrong. Love turned back upon itself is evil. Evil is that which obstructs love. Very concretely, evil is any barrier that one may see in daily life. Property, boarders, governments, violence are all evil in that they obstruct the common and keep humanity apart. Love is the only movement that can remove obstructions and evil. Love defeating evil is indignation, it is a liberating joy and the creation of the commons. Strike Debt! is one of the latest movements of Occupy Wall St. Strike Debt! is a push for a dialogue as well as action concerning debt culture in the United States. Perhaps this movement has gained so much traction because debt is such a familiar topic for Americans. Daily life in our society has become anxious and precarious. Some of us live paycheck to paycheck; others live nervously anticipating movements of the market. How long can we continue? Will we get sick and not be able to work? Will we experience another devastating market crash? How long can we keep up on our monthly payments? Strike Debt! strives to create networks of support and withdrawal from debt culture. Certainly, these are activities that are important for a large portion of the social body, but what about Christians? Can Christians Strike Debt? How can the Christian community prepare for the end of the world? Can Christians strike debt? Can they take revolutionary action? Perhaps, instead of striking against debt and other types of refusal, the Christian approach to the precariousness of everyday life is to forgive debts. The forgiveness of debts is not simply the refusal of participating in debt culture, but the extinguishing of destructive and violent energies. To forgive is to unbind one’s love upon another, blotting out one’s sins. As God forgives our sins, we are to forgive “everyone indebted to us.” If our belief and actions are to be anchored by the Christian faith then the debt culture and the violence of financial capitalism must be wiped away. Forgiving debt is a much more radical move than simply withdrawing or striking. The Forgiveness of debts imagines new relationships between individuals and capital. If we are to be subjects of Christ, as Joel said in his previous post, it requires an erasure of our capitalist subjectivities. Perhaps, to parse this transformation out in a more radical way we can use the language of Deleuze and Guattari. In the essay Capitalism: A Very Special Delirium, Deleuze and Guattari explain, “There is no ideology, there are only organizations of power.” This is to say that Capitalism is a certain organization of power and to counter this power new organizations must be implemented. In using this logic we find the means of the erasure of our capitalist modes of desire and production. Changing the organizations of power changes the way one desires. We must re-purpose our social organs toward a new becoming, becoming-Christ. To forgive debts is to transgress against the capitalist organism. Parenthetically, a temptation here might be to call for conformity toward what Paul in First Corinthians calls the body of Christ. Paul’s vision of the Body of Christ is one body with many members, assemblages of members performing the duty of organs. Thinking hierarchically, the church certainly is a dominating organization of power, but hierarchy and rigid organizations of power must be exorcised from the church. Can we imagine the church as a radical community of support and care? There is merit to Paul’s words, but the image of the body of Christ, that is the hierarchy of the church, is far too stratified and fixed. Paul’s body allows only for a narrow outpouring of the multifaceted desires of the Christian body. Becoming-Christ is a repurposing of our machines of accumulation into machines of forgiveness and hospitality, our machines of hierarchy and stratification into machines of support, mutual aid, and democracy: the organs of Christ and the church must be organized into machines of kenosis, which is to say machines of self-emptying. Instead of acquiring wealth and extracting labor we must construct they machines of love and forgiveness. Private property has no place in the kingdom, for there is enough to go around. What is a debt anyways? Debt is a semiotic agreement, but Christ frees us from our debts and in turn we must free each other from debt. Not a year of jubilee, but a world turned on its head. A rigid grid ought not be fixed to the kingdom of God simply because love is not rigid. Forgiveness is hard; especially when we are required to forgive that which capitalism makes us cling to. Christian love is often transgressive against capitalist machines of accumulation. Property, exchange and capital hold no bearing under the logic of Christ who instructs us to forgive and love wastefully. In the face of precarity and capital let us freely love and freely forgive. This is how Kurt Vonnegut’s fifth novel, God Bless You, Mr. Rosewater, begins. In much of his work, Vonnegut draws the reader’s attention to the painful observation that humans are not much different than machines in the way they interact with the world of the late 20th century. His characters seem to have little control over what happens to them, the victims of immovable forces, as he likes to say. These forces, however, are not simply “forces of nature” as they are for the American nihilists of the late 19th century (Stephen Crane, for example.) Elsewhere in his work, Vonnegut writes of humans as having little motors whirring inside of them as they mindlessly bend to another force inside of them: the drive to wealth at any cost. Capitalism. Capitalism is “natural” in the sense that it is the mode of production currently employed at this time in history. This understanding is, of course, what Marx means by historical materialism. Put simply, historical materialism is the claim that history is guided by the human need to produce in order to survive–which is the truly natural piece of capitalism (of any mode of production.) This is coupled with the fact that human beings have the ingenuity to adapt to their situation in order to accomplish this goal; thus the mode of production in use will always be adapted to changing circumstances until a point where it collapses in on itself, giving rise to a new mode. We can see at once that, unlike a hurricane or earthquake, capitalism at least feels like it’s in our control to some degree and probably more so than any other mode of production in the past. We make ourselves. Our success is dependent upon how hard one works, and if one has failed to procure a comfortable lifestyle, one has simply not worked hard enough. What we earn belongs only to us. But think about what we give up in order to accomplish the goals capitalism sets forth. We become part of the labor force for a capitalist (a CEO or a small business owner–doesn’t matter) and have our subjectivity erased, or we try to control some of the means of production and thus participate in that erasure. Certainly there are more nuanced modes of subsistence (non-profit work, for example), but for the purposes of this illustration, let’s stick with the most common forms of participation in our economy. When one is hired to work for a corporation at any level, one surrenders one’s subjectivity to that corporation. Let’s say you’re a barista at Starbucks. You probably make an average of 10 beverages an hour during a shift that sell for $3-$5. You see maybe $8 of what is made, a small amount goes back into the corporation to procure more means of production, and the vast majority goes to the people who own the corporation–who own the means of production. Some Starbucks baristas are incredible: they’re creative, friendly, they make your drink quickly and very well. Others are awful (as a recent SNL sketch illustrated.) Both will be paid the same. The amount each is paid is determined by how much wealth the owners of the means of production can amass while ensuring that the corporation will continue to produce as efficiently as possible. That baristas at Starbucks are given health benefits is not a sign of the company doing something “extra” for their employees. It’s a sign that the labor force requires more from the owners of the means of production in order to continue producing at the necessary rate. It’s a way for Starbucks to remain competitive by keeping employees happy (maybe happier than employees elsewhere) and improving its public image. If you’re an employee and you have a bad day, make a mistake, do something that costs the company money, you’ll most likely be fired. An employee’s personal situation is of absolutely no consequence. The only thing that matters is the accumulation of as much wealth as possible. And if you’re a small business owner with all of your assets on the line, it’s even more important that employees mean nothing to you. How could you fire your own brother? We know that this is how capitalism works–those who accept it unreflectively will readily admit that one has a right to make as much money as he or she possibly can through whatever legal means necessary. This is justified because of the false belief that one of those baristas, if she just works hard enough, can eventually become the CEO. That is the fundamental lie upon which capitalism continues to operate. This is how we see that money cuts two ways in capitalism, which is why the bee metaphor is especially apt. On the one hand, the vast majority of people under the capitalist system are drones, making up a labor force to create wealth to be used by very few. On the other, they are drawn to the wealth they are creating, and those who are more successful than others will do anything to acquire more. In other words, the promise of money (and more money–an infinite potential) traps people in this system under the pretense of a false hope. Employees are not people. They are whirring machines. They are worker bees. Their story and circumstances do not matter to the people who need what they contribute to the labor force as a whole. And in the process of grabbing more for themselves they perpetuate the erasure of subjectivity. Christianity also erases subjectivity, but in a radically different way. Christ’s call to lay down our lives, to give up all that we have, is a call to forsake our own personal identities and take up a new one as a follower of Christ. That isn’t a new insight–I think Pete Rollins has made the same point. But the Christian relationship to subjectivity doesn’t end there. As we forsake our own subjectivity, we do so in order to help others who have been robbed of theirs through injustices perpetrated against them reclaim it. It is in this way that we can see a radical break from capitalism in Christian practice. (Matt has described a different way here.) Christianity requires knowing–not in a “God knows me, and I’m special” way–but in a way that calls on us to know people. This is what discipleship is. The Great Commission is a call to make disciples, to draw people close into your circle, which has no borders. This discipleship-making is not first and foremost a task of conversion (a terribly destructive misreading of that passage.) Rather it is a calling of people into our midst–people who have been marginalized, treated as objects, as machines, as filth or garbage, so that their subjectivity may be restored and their lives transformed. Again, this isn’t conversion. A conversion (as a confession of Christ and a commitment to taking seriously what it is to follow him) is a forsaking of subjectivity. In other words, we are making disciples when we help people reclaim their subjectivity so that they can come to realize they should forsake it in order to help others reclaim their subjectivity and thus rehearse the coming of God’s kingdom to earth. That is the gospel message.